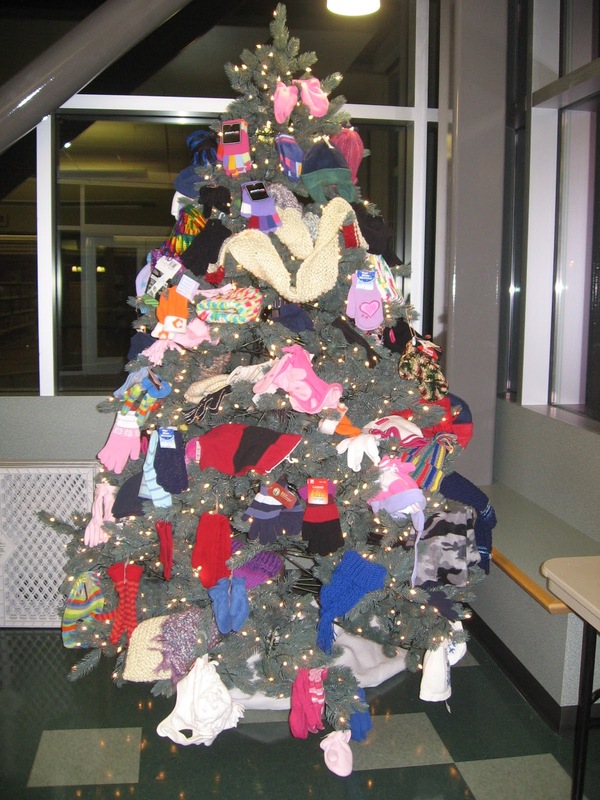 Throughout the month of December, bring new hats, scarves and gloves to decorate the branches of our 20th annual Mitten Tree located in the Library Puett Room. The Good Neighbor Center will give them to families who are experiencing homelessness in Washington County. Mark Sunday, November 27th on your calendar and bring the entire family for some serious crafting fun in the Burgess Community Room! From 2-4 p.m. artists both young and young at heart will be making useful and beautiful gift worthy projects to take home for the holidays. All supplies provided just bring your imagination and have fun. In case you haven't heard, Washington County Cooperative Library Services is celebrating its 40th Anniversary this year! To celebrate this major milestone, Library Passports have been created for Washington County residents so they can visit libraries across the county and get their passport stamped. For each library you visit and get a stamp, it makes you eligible to enter a prize drawing full of really nice items such as...an Apple iPad Air 2, film tickets to the Sherwood Center for the Arts, passes to the Pittock Mansion, a wine tasting, and plus others! Passports can be stamped from now until December 16, 2017. Can't make it to multiple libraries? That's OK too. Mascots from each Washington County library got together and toured multiple libraries within the cooperative. They had their photos taken which was a lot of fun for them (and us) which resulted in this slideshow of their adventures. Want to get in on some more fun? Tonight, the library is hosting a musical concert for adults. Kora: Music of West Africa. Sean Gaskell will give a performance and educational demonstration on the kora, an ancient 21-stringed harp from West Africa. He will feature traditional songs that are the heart and soul of the kora's musical repertoire in addition to some of his own personal compositions. The concert will be held in the Burgess Community Room at 7:00 p.m. 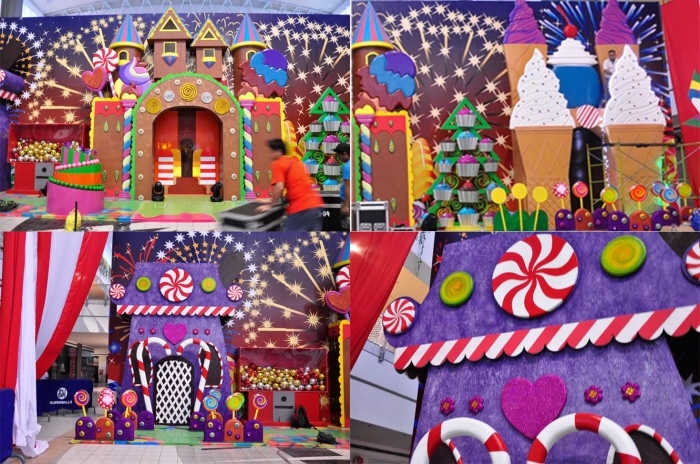 Missed the last Life-Sized Candyland program? You needn't fret, because it's back, bigger and better than before for International Games Day! 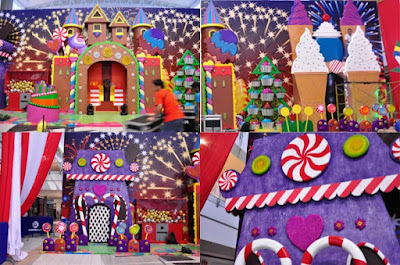 Not only will you have the chance to be the playing piece on a giant Candyland game board, but you can also try your hand at Battleship, Hungry Hungry Hippos and Connect Four all in the large scale. And while you're waiting for your turn in the big leagues, play some good ol' regular-sized games. Calling Harry Potter Fans Ages 10 and Up! Fantastic Beasts and Where to Find Them will hie the movie theaters in November, and we're having a party to celebrate its release. Test your Hogwarts knowledge in our trivia game while enjoying wizardly snacks and creating beastly crafts. Be sure to dress in costume so you can enter the costume contest for a prize! Do you have an older sibling who can read and write along with a younger sibling who wishes they could read and write like the older one? Here's the perfect picture book about a younger sibling who wished he would write words and a story just like his older sibling. 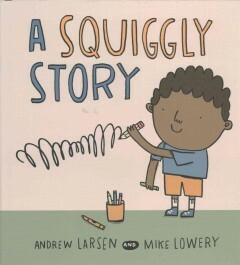 In A Squiggly Story by Andrew Larsen and Mike Lowery (Kids Can Press, 2016), the little brother doesn't know how to spell, create words, or write a story. BUT his older sister encourages him with how EASY it is by just writing one letter and a bunch of scribbles and doodles. She then walks him through the process of a story arc, with the beginning, middle, and end. While brother doesn't fill out an entire sheet of paper full of words, it is OK, because he "wrote" it in such a way that he could tell the story and it makes sense to him. He then goes on to share his story at school during show-and-tell. This picture book is spot-on to encourage writing and creativity in emergent writers and to help teach what words, writing, and print is. And Watch the book trailer on youtube to get a sneak peek of what's inside! November is Picture Book Month! Picture Book Month is an international literacy initiative that celebrates the print picture book during the month of November each year. To celebrate, please stop by the children's room at the library and check out our display of recommended picture books from the Youth Services Staff. So take a peek and see what your favorite librarian's favorite picture books are! Please feel free to grab any of the books from the display, check them out, and read them to your youngster! Share the love of a picture book today!